In the days running up to Valentine’s Day, Cupidrone showed over 4 million people that love is literally in the air. With this short film Funnyhowflowersdothat.co.uk wanted to make as many people as possible aware of the fact that flowers are still the most valued Valentines gift. 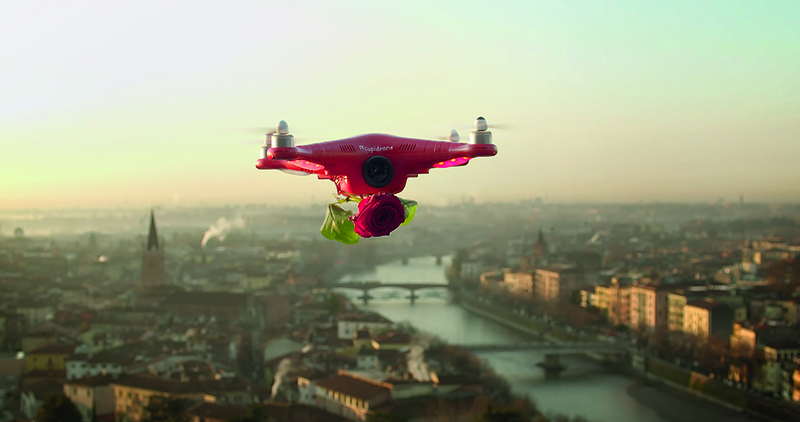 In this short film the red ‘Cupidrone’ drone scoured the streets of Verona for loving couples and lonely souls. What did we find? That the traditional symbol of love - the red rose - still works perfectly. 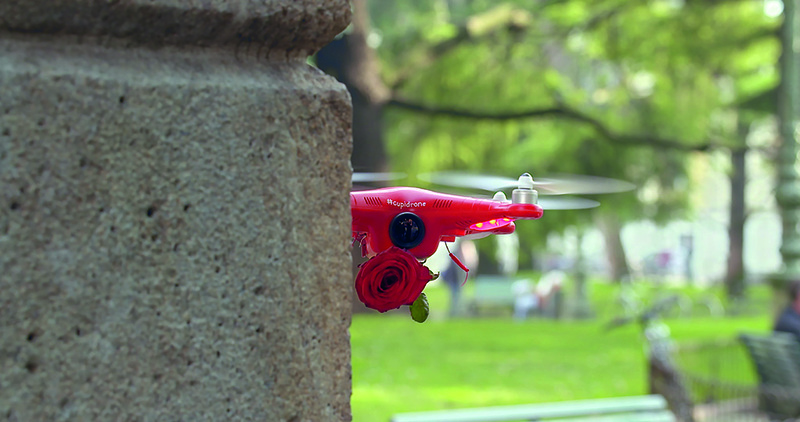 “For anyone who wants to make Valentine’s Day special, Cupidrone shows that flowers have an amazing effect on people, ” says Ivo van Orden, Campaign Manager at the Flower Council of Holland. The film was posted on Funnyhowflowersdothat.co.uk and its three variants in the other core countries: Mooiwatbloemendoen.nl, Lajoiedesfleurs.fr and Tollwasblumenmachen.de. Bloggers and the editorial teams of international off-line and online lifestyle, fashion and women’s magazines were sent red roses on behalf of #cupidrone. With this appealing gesture Funnyhowflowersdothat.co.uk was able to encourage many relevant bloggers and editorial teams to publicise the film and thus increase its reach. 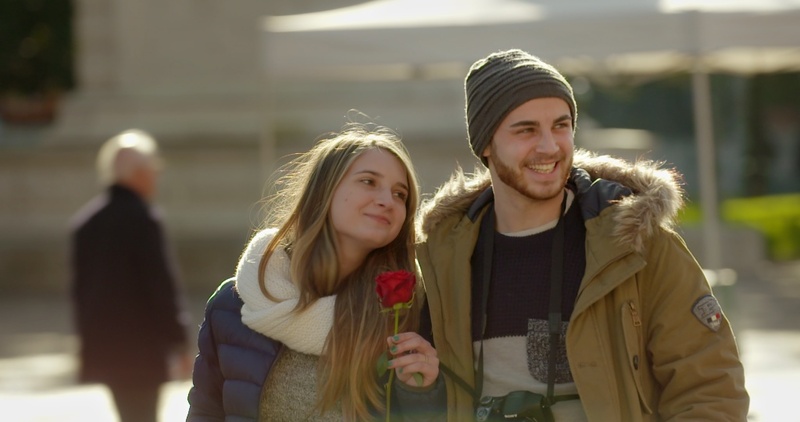 The film was presented to a wider international audience via Facebook, Twitter (#cupidrone) and the video platforms YouTube, Be-On and Exponential. The film was most popular in France, where it was viewed the most (29% of the viewers) and was most highly rated via Facebook and YouTube (5,698 likes). There were slightly fewer viewers In the United Kingdom (1,781 likes) and Germany (2,338 likes), both with 27%. As the smallest country, the Netherlands followed at an appropriate distance with 17% of the viewers and 2,127 likes. This short film was directed by director Edwin Nikkels and was produced by advertising agency Kingsday in collaboration with Back2Back Productions. The fantastic red roses (Red Naomi) which Cupidrone delivers came from Porta Nova rose nursery.